All Occasion Performers, Home of Tharpo the Clown has been providing interactive entertainment for over 20 years in the Dallas - Ft. Worth area. Versatility is the key to making any event "Your Best Event" Are you looking for entertainment that is high energy and non stop excitement? 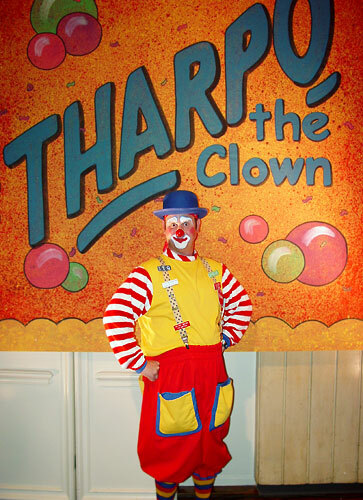 Then you might want to consider Tharpo who will dazzle your audience with juggling, magic, improv comedy, balloon animals, jokes, mime, balancing, poetry, face painting, stilt walking, unicycling and much much more. 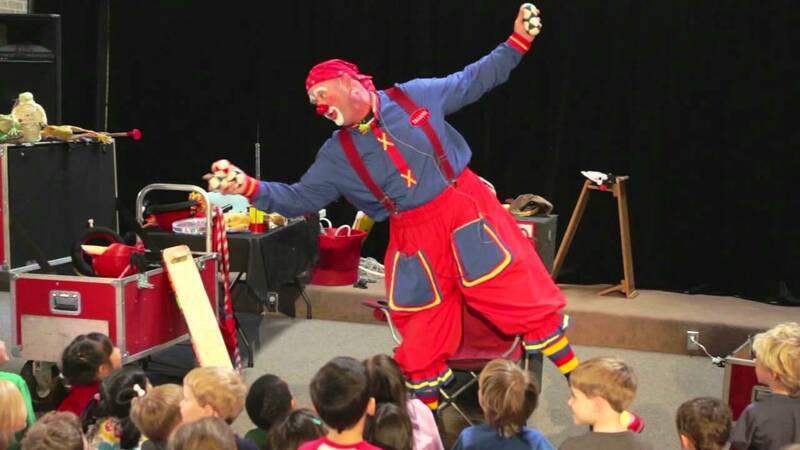 His family friendly programs are good for ages 2 to 100 and can be adapted to fit your needs - fair or festival, corporate events, birthday party, library or day care or school show. Jeff Tharp came to the Dallas Ft Worth area in 1988 to expand his opportunities in the the world of entertainment. He received a BFA from SMU in Springfield, MO where he won the Kathleen Turner Performance Scholarship for his outstanding performance skills. 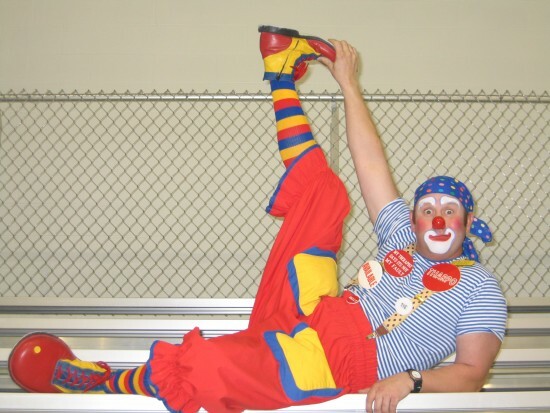 Since starting All Occasion Performers, Jeff aka Tharpo the Clown has done over 6,000 events for family affairs, corporate picnics, parks and recreation programs, grand openings for all kinds of corporations ( bank, stores, etc,), and school, library, and day care shows. He has appeared in 8 films, 14 commericals, and a variety of plays, industrial films, TV, and print work. Another plus for Tharpo is that due to his performance training, he can adapt to fit the needs of any event or program - size of crowd, theme or time. He has costumes to fit in with all major holidays - Elf for Christmas Holidays, Jester for Marti Gras, Uncle Sam for 4th of July, Clown, Cowboy or Pirate for all seasons. All Occasion Performers prides itself in providing first class entertainment by working with only the top entertainers in the Dallas-Ft Worth area. If your event calls for other types of entertainers, Jeff can find you the best in Costume Characters, Caricature Artists, Fortune Tellers, and much much more. All Occasion Performers provides the customer with "play or pay" contracts. If Tharpo or one of his entertainers do not show up to your event for any reason, All Occasion Performers will pay you 100% of the fee. Because Tharpo loves to entertain, he brings lots of things to his performances. He arrives at your event early to set up so he is ready to start on time. He needs the best access to his performance area as possible so he can unload and load with speed and efficiency. He does his best to be adaptable to the client/event demands. Every performance set is unique and individual to the event. No two "Tharpo" shows are ever alike as he takes in consideration the audience, theme and amount of time given to the event. Every experience influences us to make our performance better the next time. We are constantly trying to improve our presentation for our audience enjoyment.